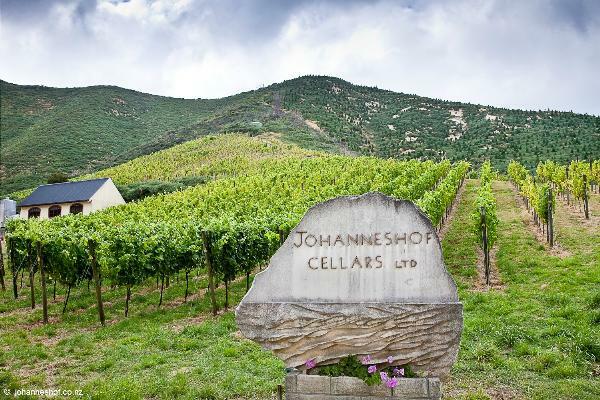 Johanneshof Cellars is a small Boutique Winery established in 1991 by German born, fifth generation winemaker Edel Everling and New Zealander Warwick Foley. Both trained at Geisenheim University in Edel’s native region of Rheingau. All wines are produced on site, from hand harvested Marlborough fruit and Johanneshof “ has a history of scooping top awards for it’s aromatic white wines”. Michael Cooper, Cuisine Magazine May 2004. As well as the wines listed Johanneshof produces botrytised dessert wines, a traditional Grape Brandy and Grappa. Johanneshof Cellars boasts New Zealand’s first Underground Rock Cellar tunneled 50 metres into a sandstone hillside.